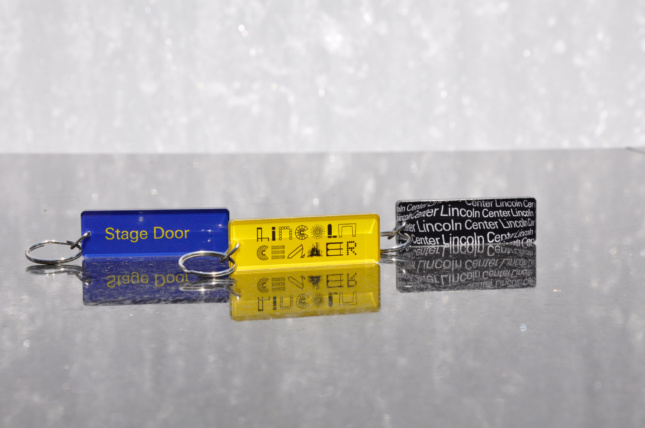 Some of New York City’s most iconic buildings have been captured in a new collection of merchandise created exclusively for Lincoln Center and on sale through Sunday at an outdoor kiosk that moves around its campus. Small Stuff, a New York design studio, created what Lincoln Center is calling a “wordmark” that incorporates architectural details of many of its original buildings, and of some of the newer designs of Diller Scofidio + Renfro from the mid-first decade of this century, when Lincoln Center’s 16.3-acre campus on the Upper West Side of Manhattan underwent a $1.2 billion redevelopment. The design of the first L in the word Lincoln is inspired by the facade of Philip Johnson’s 1964 New York State Theater, now the David Koch Theater, while the I in Lincoln is inspired by the facade of Max Abramovitz’s 1962 Philharmonic Hall, now David Geffen Hall. The first N in Lincoln is derived from the steps that lead up to the Columbus Avenue entrance to the campus, designed by Diller Scofidio, with the LED that illuminates them turned off. The C is meant to be an aerial view of the fountain in the campus’s central Josie Robertson Plaza. The O and L are based, respectively, on the chandelier in the auditorium and windows of Wallace K. Harrison’s 1966 Metropolitan Opera House. The second N in Lincoln is based on a facade detail of Geffen Hall. In the word Center, the C is based on the Koch Theater ceiling, while the first E is based on the cames in the windows of the opera house. 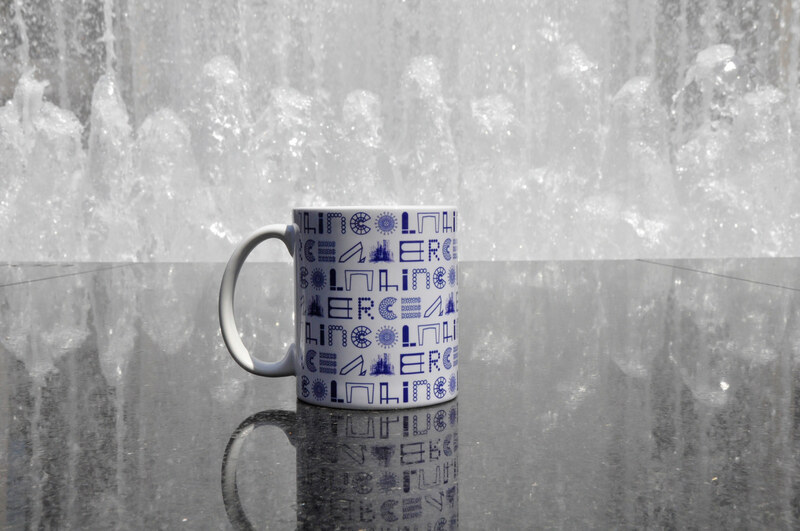 The N is inspired by the facade of Pietro Belluschi’s 1969 Alice Tully Hall, while the T also represents the fountain. The second E recalls the façade of the opera house, while the R is based on the Columbus Avenue steps, with the LED display lit. 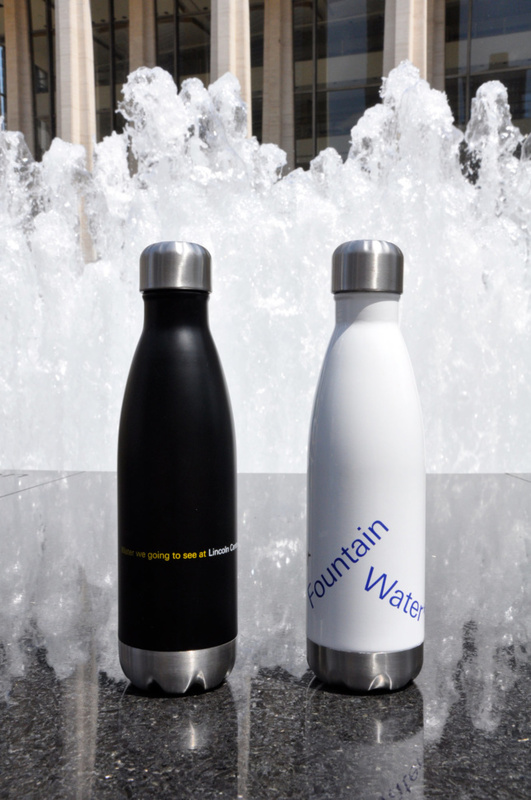 Peter Duffin, Lincoln Center’s senior vice president of brand and marketing, said the public “loves” the wordmark. “They’re seeing the campus in new ways, in a different light—it’s such an iconic campus. It’s really fun,” he added. The wordmark is featured on merchandise, which includes a T-shirt, key chain, magnet, mug, and journal. These items, and others, have been on sale daily since early July at an outdoor, movable, wheeled white and black kiosk designed by LAMAS, a Toronto-based architectural firm. This has been open from late morning until after the final curtain of various indoor and outdoor performances taking place across the campus. Duffin said this week that the kiosk and merchandise have been “really popular,” and that Lincoln Center is looking for ways to bring the merchandise back in the future.